A Tennessee lawmaker said Tuesday that his office has received threats for planning to give away the same type of semi-automatic rifle used by a gunman in the massacre of 49 people at an Orlando nightclub. 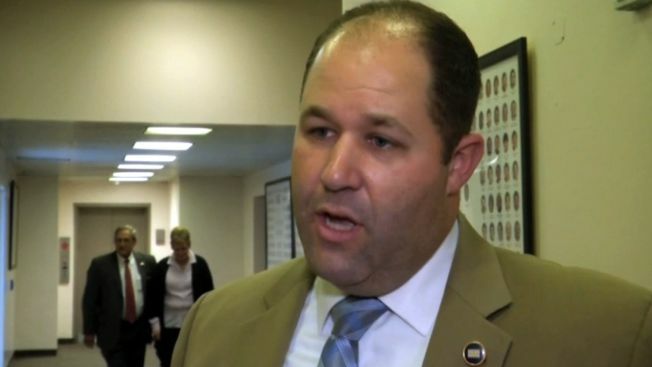 Before the shootings happened, Republican state Rep. Andy Holt had offered the AR-15 as a door prize at a fundraiser scheduled for later this month. When he was heavily criticized following Sunday's shootings, he said he would give away a second one as well. "In response to people saying I shouldn't do this: No, actually we should — and we should celebrate it," Holt said in a telephone interview. "Not in response to what happened in Orlando by all means, but in response to the bans that have been called for." Holt, a hog farmer from northwestern Tennessee, was the sponsor of a new law this year to allow faculty and staff at public colleges and universities to be armed on campus. He said that more armed people inside the Orlando club could have intervened before so many people were killed by the gunman. State Democratic Party Chair Mary Mancini in a release on Monday called Holt a reckless gun owner. "Responsible gun owners don't put guns in the hands of strangers," she said. "Andy Holt doesn't know if he's putting the winning raffle ticket in the hands of the next mass shooter." Holt dismissed Mancini's comments as misguided, saying that he plans to do all background checks required by law. He also argued that specific weapons shouldn't be targeted for bans. "It doesn't matter what the physical characteristics of the gun are," he said. "What matters is that in the hands of an unlawful, crazed individual, a person who is motivated by hate, any instrument can be used as a weapon of destruction." Holt said his office was contacted repeatedly by an anonymous caller who said he was armed and threatened to pay him a visit. He said he had forwarded the recorded calls to the Tennessee Highway Patrol's Capitol security unit because the threats were made to a staffer. Holt said it has become a "fairly regular occurrence" for him to receive threatening emails, text messages and phone calls to his home. None has resulted in a personal confrontation. "But I'm prepared if it does," he said.